Akkineni young lad Akhil impressed everyone with his acting prowess and dancing skills in his first two movies -Akhil and Hello. However, success continues to elude this talented chap. The young hero is yet to come up with an official announcement regarding his next project. If the ongoing reports are anything to go by, Akhil is keen on working with Ram Gopal Varma, who is currently directing his father Nagarjuna in a cop action thriller. 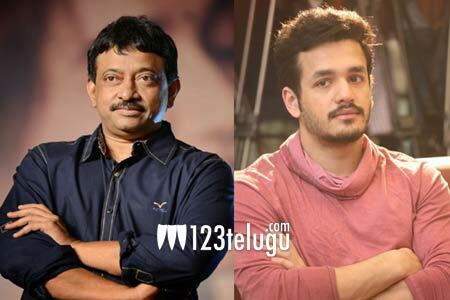 Apparently, RGV had asked one of his assistants to narrate a script to Akhil. The young hero was impressed with the narration but wanted only RGV to direct the movie. Even though RGV had promised Akhil that he will supervise the project, Akhil wouldn’t give his nod unless RGV helms the project. Already, RGV and Akhil have shot a demo action scene in Mumbai and they both are quite content with their working experience. Keep watching this space for more updates on this exciting development.